At Loma Linda University’s 2015 Alumni Postgraduate Convention seminar on Global Orthopedics, Merrill Chaus gave both a disturbing and challenging presentation entitled, “The Dark Side Of Doing Good.” Disturbing because, as a veteran of several overseas mission trips, I knew that I had personally violated many of her recommendations – challenging in the sense that I vowed to try and improve my track record in the future. Merrill is a registered nurse and team coordinator for Operation Rainbow, a nonprofit organization providing free pediatric orthopedic surgeries to indigent children in underserved countries, mainly South and Central America, Mexico and Haiti. She has participated in over 20 national and international medical missions including 4 trips to Hopital Adventiste with her husband Dr. John Herzenberg, Director of the International Center for Limb Lengthening in Baltimore, Maryland. Merrill’s preparatory skills for these trips are legendary and she is more than qualified to offer the following advice. Do consider national and religious holidays and elections before committing to mission dates. Do inform local surgeon of your team’s specialties before arriving. The local surgeon needs time to match appropriate skillsets to patients’ needs. Do anticipate and pack all supplies and medicines needed for a week of clinic, OR, recovery and follow-up care. Don’t strain the limited local resources. Do ask local staff what lectures topics to prepare. Don’t assume that you know what they want to learn. Do extend lecture invitations to local doctors and community healthcare workers. Invite local experts to share their expertise and experiences. 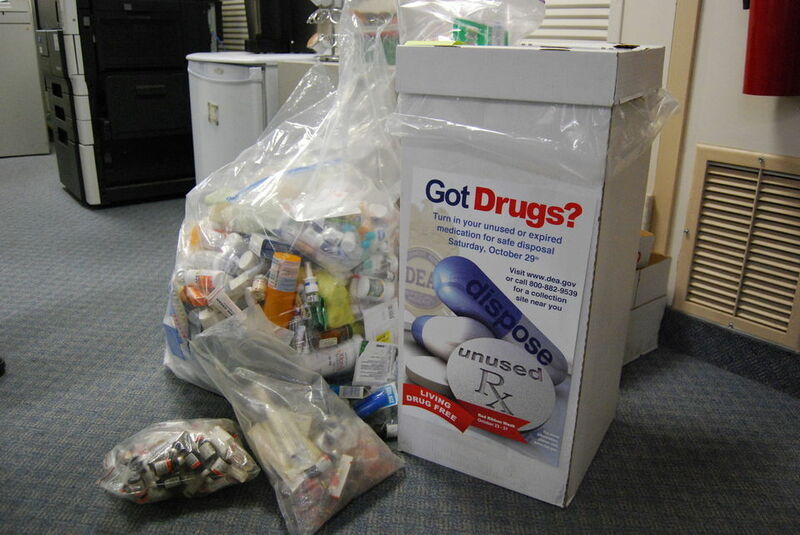 Do not pack expired medications. Most NGO policies clearly state: No meds less than 6 months from their expiration dates. Do take the Stanford/Johns Hopkins online course: Ethical Challenges in Short-Term Global Health Training. Do take the Cultural Competency Online Course by Unite For Sight. Do learn basic phrases in the local language. Do recruit volunteers who speak the local language to prevent miscommunication and reliance on interpreters. Do prepare patient education materials in the local language. Do ensure your team is competent and credentialed to prevent spreading false knowledge and harmful practices. Good teaching skills are a plus! Do consider recruiting a biomedical engineer to train locals on equipment maintenance and IT specialist to maintain computer networks. Do fundraise to offset fixed hospital costs your team incurs such as water, fuel, electricity, oxygen, x-rays and IV fluids. 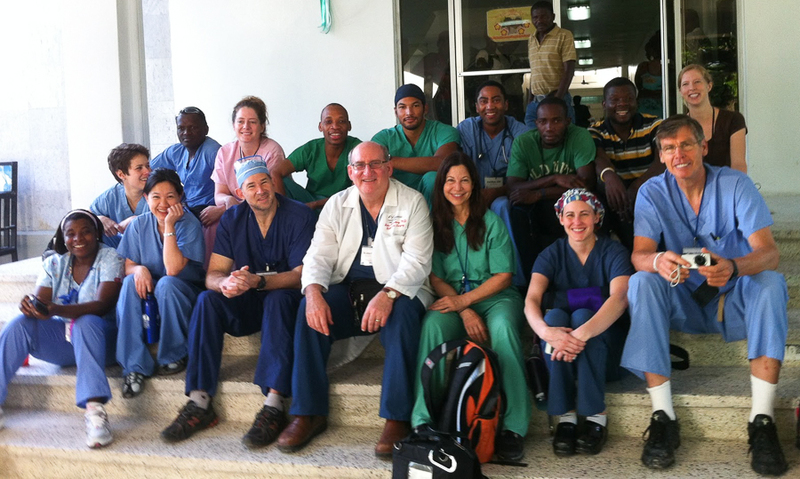 Volunteer’s use of operating rooms may prevent local doctors from operating for a period of time. The local hospital is likely to need help to pay staff wages due to increased manpower demands. Do cover up tattoos. Tattoos are often sported by gangsters and thieves in the developing world and may be threatening to patients. Men: scrubs/lab coat. Please no earrings or shorts. Females: scrubs/lab coat, no sleeveless shirts during work hours. 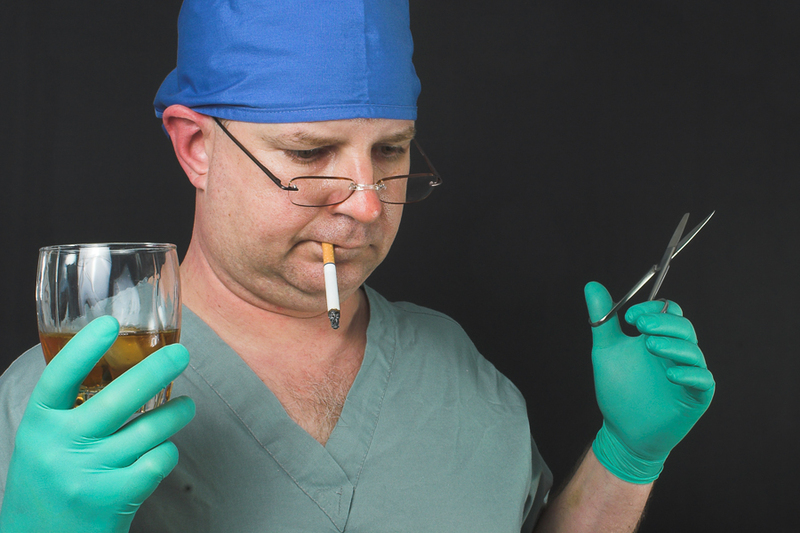 Don’t smoke or drink alcohol on the hospital premises. Do coordinate/cooperate with the local team and respect their hospital rules. Don’t ignore or work around local staff. Work with them. This promotes good will and safe, ethical care. Do identify who will provide follow-up care and consider reimbursement for service rendered in the future. Do provide teaching moments during morning report, bedside teaching and conferences. Do less surgery and more training – “leave skills, not just scars.” Education is key to improving surgical capacity and sustainable change. The local staff needs skills to care for patient complications after teams depart. Do wear identification badges with name and job title written in the local language. Locals have a right to know who is administering care. ID badges prevent misidentification and demonstrate collaboration and respect. Do practice kindness, patience and cultural sensitivity. Locals may be reserved and intimidated. Engage them gently and practice cultural humility. Do remember that local staff and patients are watching you. Don’t do in the field what you wouldn’t do at home. Do maintain high standards of care. Patients trust incompetent volunteers more than competent staff. This undermines trusting relationships. Do document patient charts in the local language so that staff can follow patient progress and administer safe follow-up care. 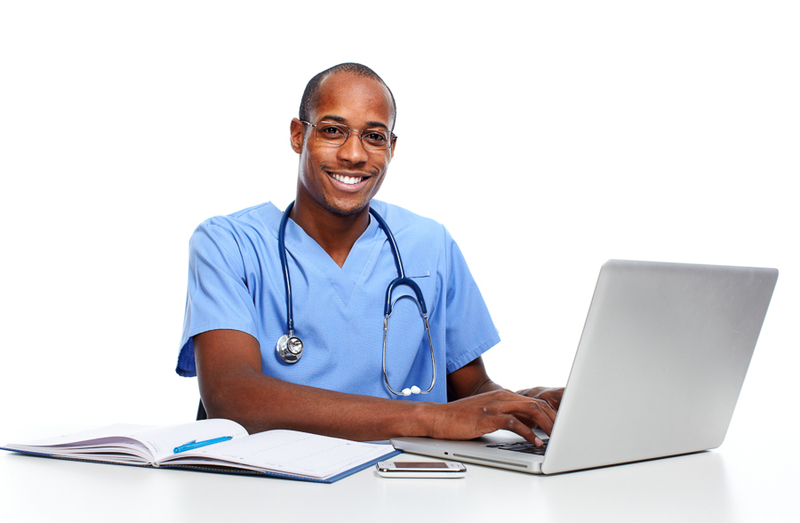 Do obtain contact information of the local surgeon providing follow up care. Do give your contact info to the local surgeon. Do leave casts, medicines and supplies for patient follow up visits. Do continue sustained communication with surgeon and hospital. Do plan a return visit. Do consider a long-term partnership/training program. Do consider using evaluation forms for both volunteer team and hosts. Florida Hospital announces an exciting matching gift opportunity for Hopital Adventiste d’Haiti (HAH) available now through August 30, 2015. 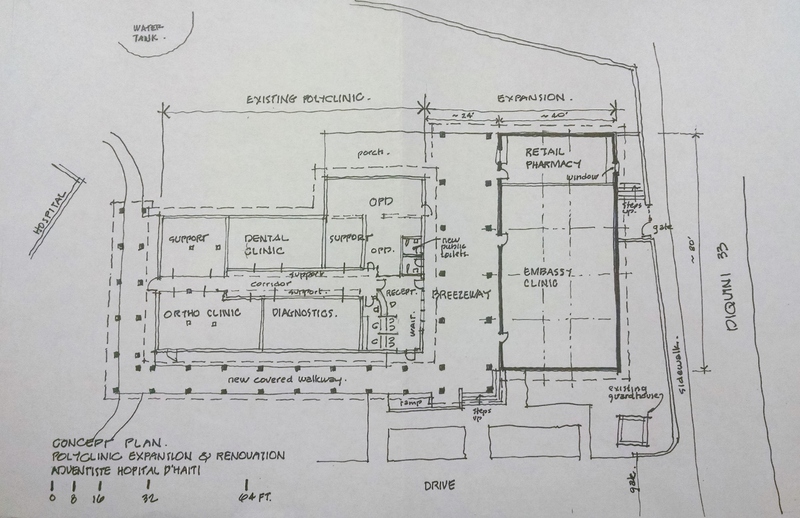 Plans, sketched below, are to renovate the existing polyclinic building and adding outpatient orthopedic services, dental care and optical services. Orthopedic patients at HAH need a location outside of the hospital where follow-up care, consultations and minor procedures can be performed. Currently during orthopedic clinics the hallways of the hospital are congested with an over-flow of patients making it difficult for normal operations to occur. Matching funds are limited and available on a first come first serve basis. Gifts of a minimum of $25,000 and a maximum $200,000 will be matched dollar for dollar. Gifts can be made as a pledge over five years with a minimum of $5,000 per year. 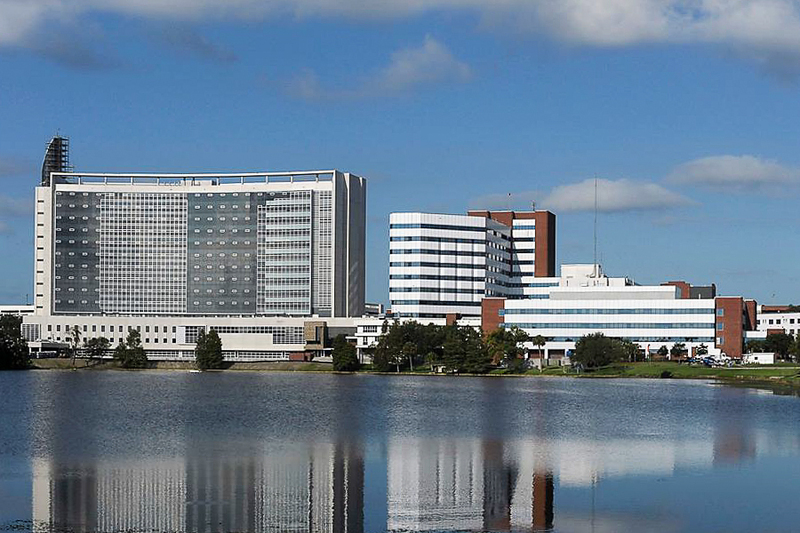 As a tax-exempt community benefit hospital, Florida Hospital (pictured in title image) is dedicated to the great purpose of healing and enriching lives at home and throughout the developing world. Florida Hospital expresses its mission to extend Christ’s healing ministry to the world through Global Mission Initiatives (GMI). GMI is a department of Florida Hospital that collaborates with healthcare organizations in select countries where there is a desire for mutual accountability and sustainable improvement. GMI works with these groups in developing nations to identify long term needs, create strategic plans for improvement and assist in sustaining the effort. 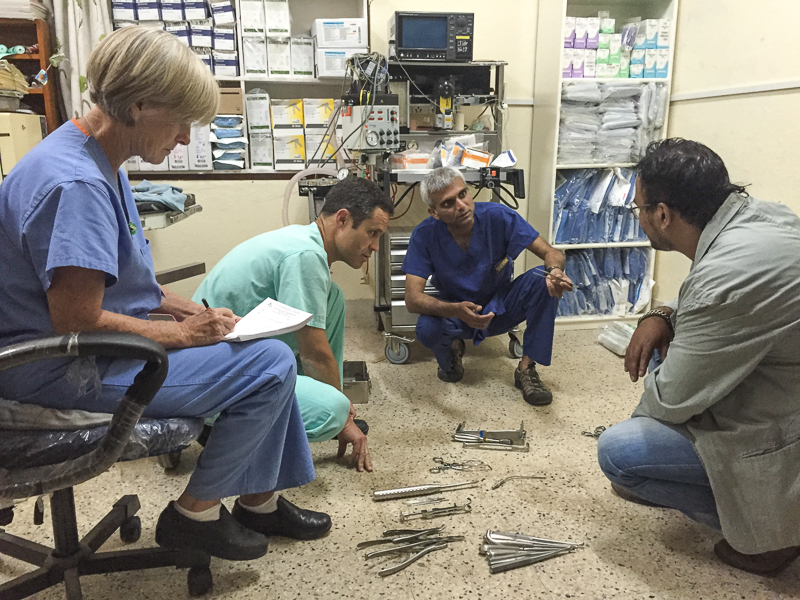 Services provided through volunteers include: Donating equipment and supplies, organizing clinical education and training, fundraising for approved projects and programs, preparing and supporting medical missions, sharing process-improvement expertise, and supporting strategic-planning efforts. For example, Florida Hospital Global Mission Initiatives was recently asked to recruit a team of ICU Nurses and Respiratory Therapists to participate in the care of the conjoined twins recently separated at Hôpital Universitaire deMirebalais. It is well known that this website is dedicated primarily to the latest news as it relates to Hopital Adventiste d’Haiti (HAH). However from time to time we will feature articles dealing with volunteer experiences outside of Haiti. Dominik Rog is entering his senior year of orthopedic surgery residency at Loma Linda University and has been accepted into a postgraduate upper extremity fellowship in Louisville, Kentucky. Our trip began with a quick stop to the CURE hospital in Addis Ababa, Ethiopia. Clinical activities included touring the facilities and assisting in clinic. I had an opportunity to work in clinic with one of the Ethiopian CURE staff members. The range of pediatric orthopedic pathology seen is quite different from a clinic in the United States. Notable are the amount of burn contractures, sequelae of untreated tuberculosis, neglected clubfeet and rickets. 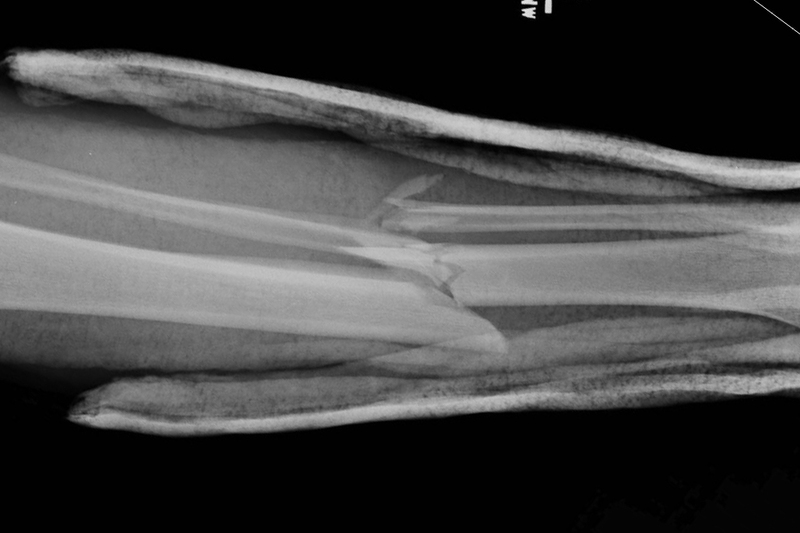 Several patients presented with malunited fractures. One of the common factors present amongst these patients is very poor or no access to healthcare. For this reason the CURE staff is often faced with the late presentation of problems that are normally treated at the acute stages in the developed world. The more common issues present in pediatric orthopedics are also seen daily in the CURE clinic (flatfoot, physiologic genu varum, etc). The CURE hospitals emphasize their role as a Christian ministry and in both Addis and Blantyre we had an opportunity to attend chapel services. 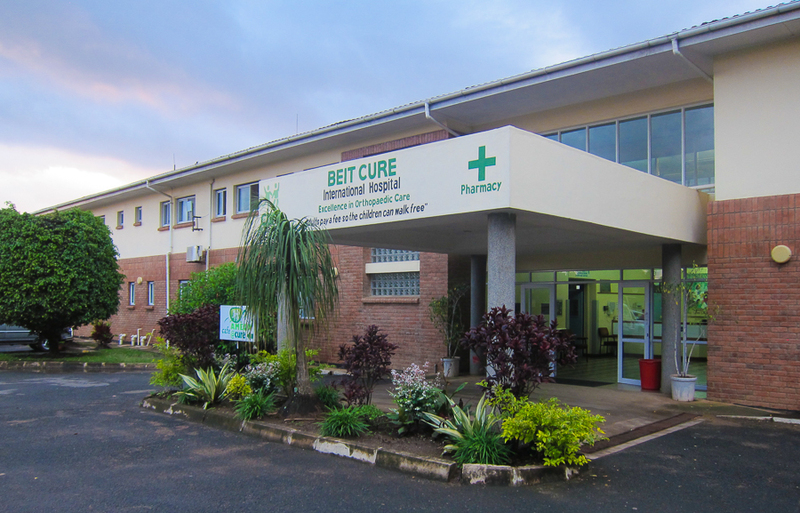 A majority of the trip was spent in Malawi at the Beit CURE International Hospital in Blantyre. Malawi as a country continues to be one of the worst in the world in terms of poverty, infant mortality and life expectancy. The population has a high rate of HIV/AIDS infection. It is, however, also a staggeringly beautiful nation, at least at this time of year. At the CURE hospital, I had an opportunity to work in the clinic and on the ward, as well as in the operating room. In both the ward and clinic we saw patients with chronic osteomyelitis, which is quite prevalent in Malawi, neglected fractures, avascular necrosis secondary to HIV, sequelae of untreated septic joints including growth arrest and AVN and tumors. Much of the pathology present is similar to that seen in Ethiopia and we again saw many patients with burn contractures and neglected clubfeet. Although I did not have an opportunity to assist in the treatment of any patients with chronic osteomyelitis in the OR, I was able to see several patients on ward rounds. Chronic osteomyelitis is treated in a relatively unique fashion in Malawi. These patients undergo sequestrectomy and I&D, and the wounds are then left open and treated with honey, which has antibacterial properties – antibiotics are generally not used. The CURE hospitals support some of their operating cost by seeing and treating private patients for a fee. The children are treated at no cost. The adult patients in the private clinic also present some unique pathology. 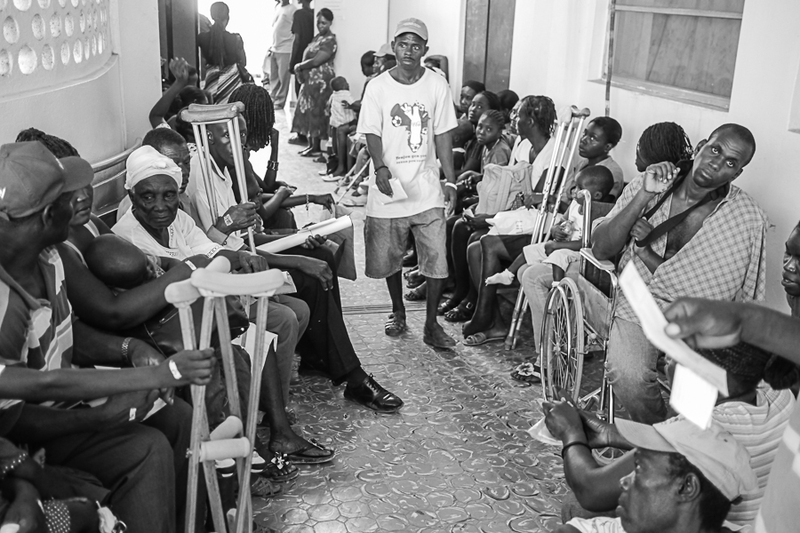 Like the children, many adults have poor access to healthcare, including those who are able to afford being seen by CURE, and often do not present until several months or even years after their fractures. Untreated femoral neck fractures in adults is apparently a relatively common problem and is one of the reasons that total hips are done in both Malawi and Ethiopia. As in the children, untreated and chronic osteomyelitis is a ubiquitous problem. In the operating room I had the opportunity to assist in a foot burn contracture release with a FTSG, a supracondylar osteotomy, anterior tibialis transfer, Rush rodding of the femur for osteogenesis imperfecta, as well a finger syndactyly release. In the other operating rooms I also had the opportunity to observe a total hip arthroplasty performed for avascular necrosis. The CURE hospital in Blantyre has three functioning operating rooms with all three running on most days. 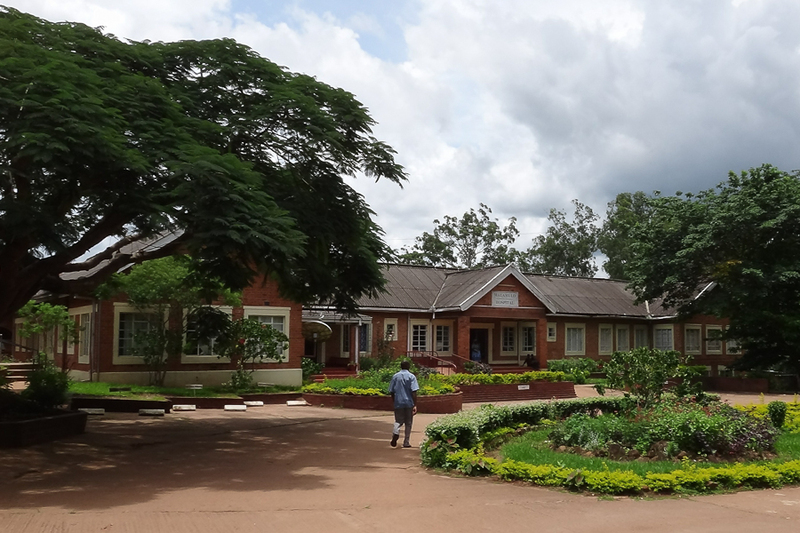 During the trip in Malawi we also had an opportunity to travel to Malamulo Hospital (pictured in title image above) and tour the facilities. There we met with the medical director, the chief operating officer, and Dr. Ryan Hayton, who is one of the general surgeons at the hospital. Dr. Hayton oversees the PGY4 rotation for the general surgery residents at Loma Linda University. During the tour we viewed the emergency department, ICU, various wards, and the labs. Despite the drastic differences in resources between the Malamulo mission hospital and an American hospital, they are able achieve very good outcomes when looking at infant mortality, maternal mortality, postoperative survival, etc. It was quite interesting to learn that the surgery team at the hospital successfully performed an Emergency Department thoracotomy. The patient passed away a day later in the ICU, but the rate of survival after such a procedure is quite low even in the best equipped American hospitals. Overall this trip to Africa was quite an eye-opening event. 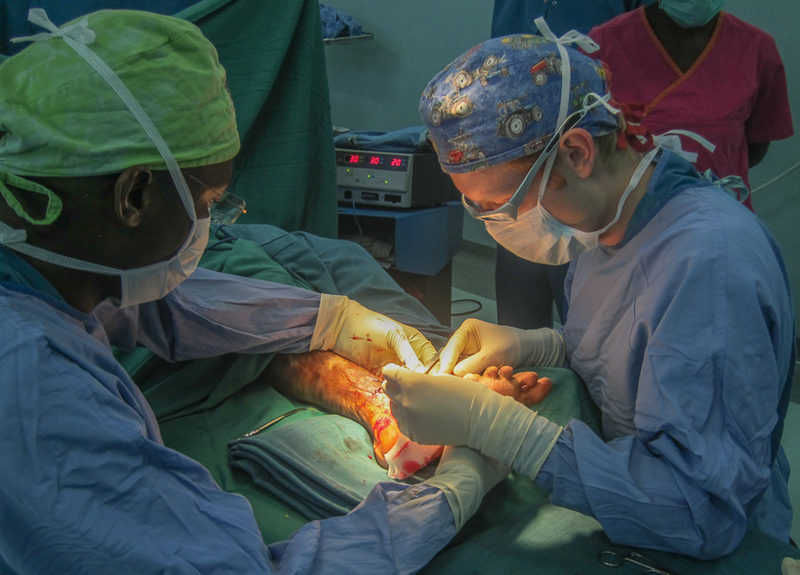 I had an opportunity to experience firsthand not only the orthopedic needs in these two developing nations, but also the healthcare needs in general. Some of the pathology that is seen daily in the clinics of Ethiopia and Malawi can only be found in textbooks in the US or Europe. 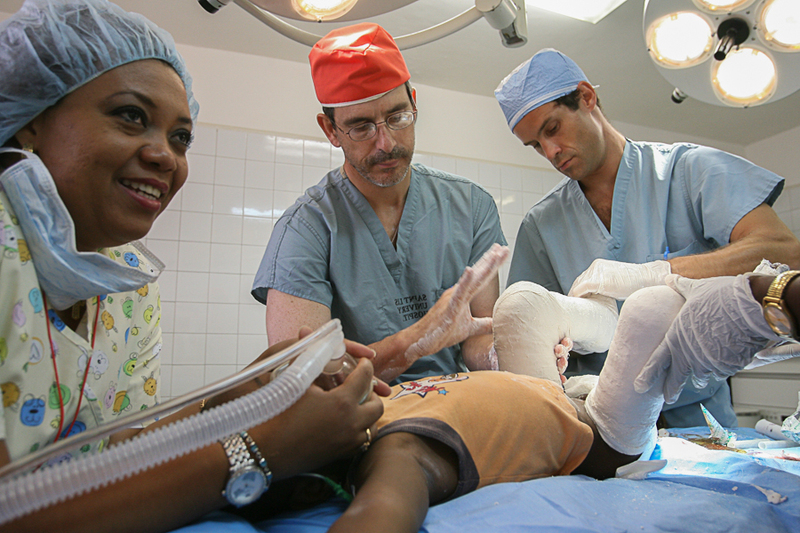 It was inspiring to see the orthopedic work that is currently being done by the CURE teams. 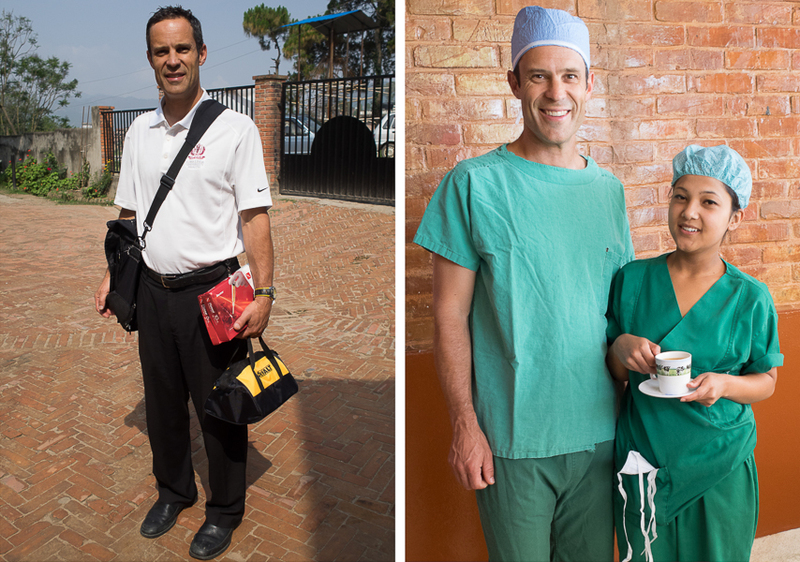 The opportunities to make a difference are endless for the American orthopedic surgeon, whether for long term mission work or on shorter trips. This story was reported by Laura Sullivan on behalf of a partnership between NPR News Investigations and ProPublica, an investigative journalism organization. You can read or listen to more of the report on NPR’s site. You can also read more from ProPublica: How the Red Cross Raised Half a Billion Dollars for Haiti and Built Six Homes. 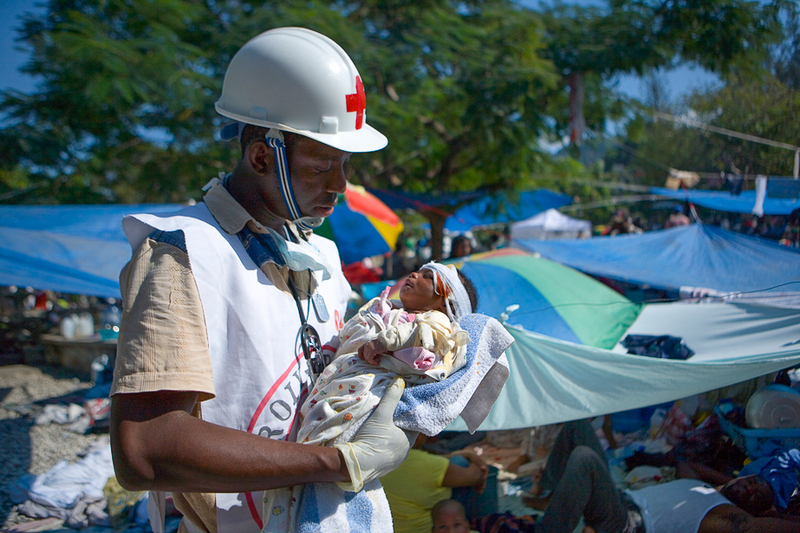 When a devastating earthquake leveled Haiti in 2010, millions of people donated to the American Red Cross. The charity raised almost half a billion dollars. It was one of its most successful fundraising efforts ever. 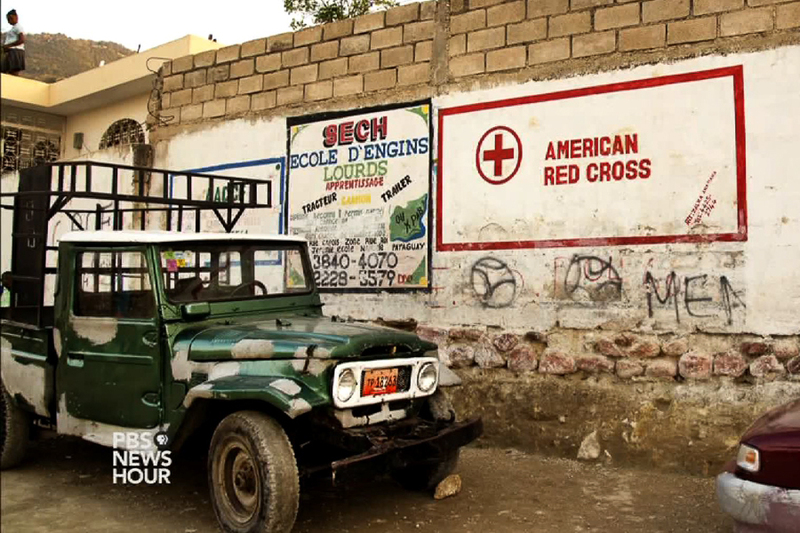 The American Red Cross vowed to help Haitians rebuild, but after five years the Red Cross’ legacy in Haiti is not new roads, or schools, or hundreds of new homes. It’s difficult to know where all the money went. The Red Cross long has been known for providing emergency disaster relief — food, blankets and shelter to people in need. And after the earthquake, it did that work in Haiti, too. 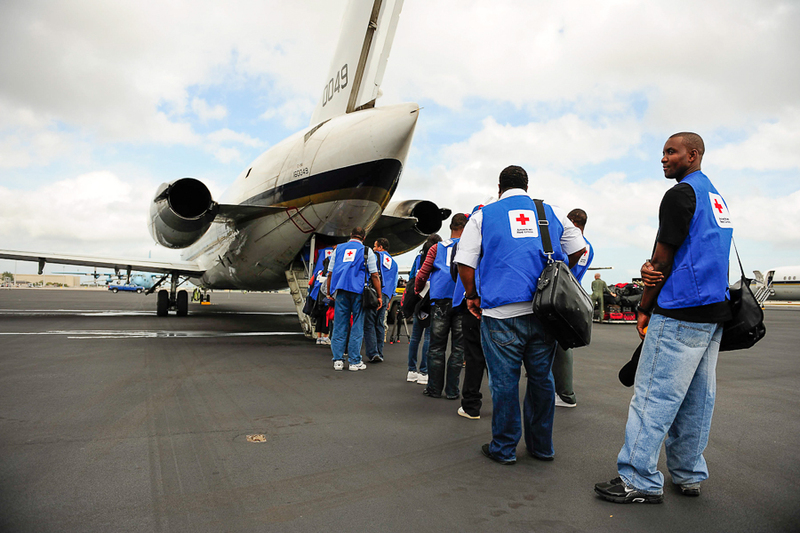 But the Red Cross has very little experience in the difficult work of rebuilding in a developing country. 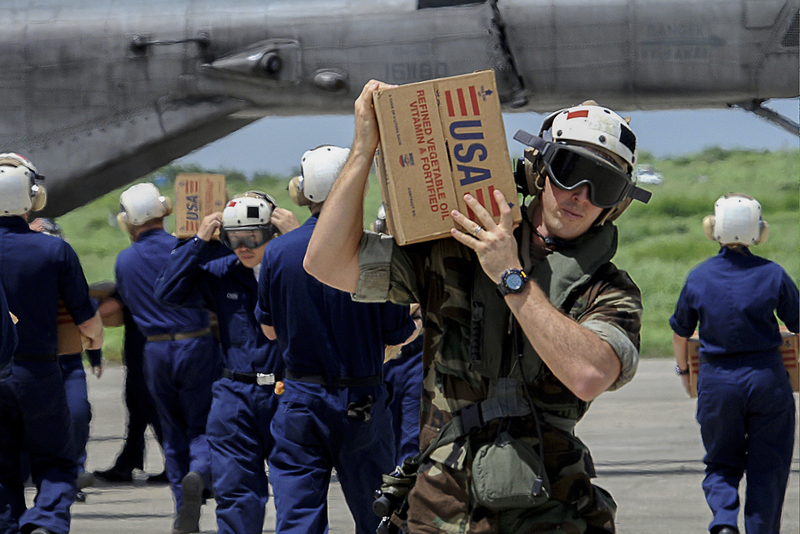 The organization, which in 2010 had a $100 million deficit, out-raised other charities by hundreds of millions of dollars and kept raising money well after it had enough for its emergency relief. But where exactly did that money go? Ask a lot of Haitians, even the country’s former prime minister, and they will tell you they don’t have any idea. After the earthquake in 2010 nearly $10 billion dollars of foreign aid was pledged to rebuild Haiti. Vikram Gandhi went to see just how that money is being put to use. This is his debrief from Season 3, Episode 7 of VICE on HBO. It’s shocking and disappointing to see how little progress the average citizens of Haiti have made with the billions of dollars spent there. Like Vikram stated in the video, “People are going to have to start curating the way that they donate. 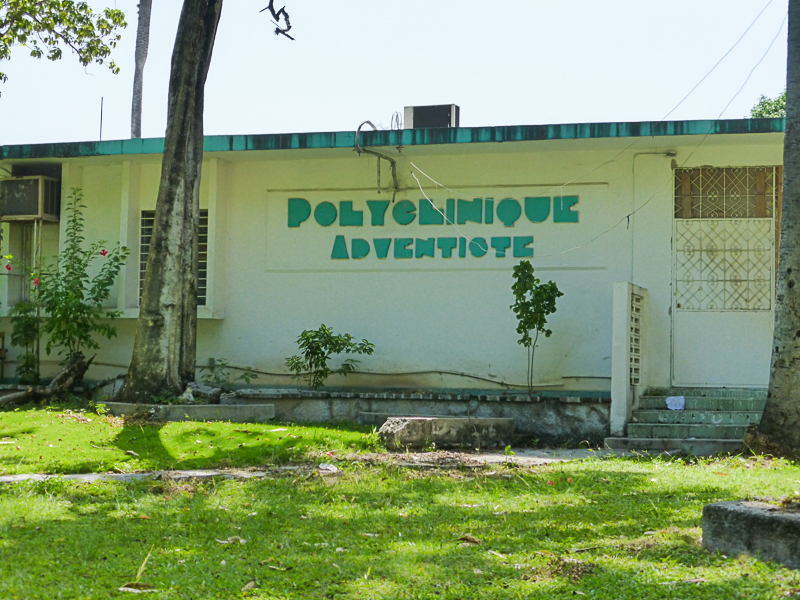 There are a lot of places in Haiti that are smaller and often those places are incredibly successful.” Please consider donating to or volunteering at the relatively diminutive restoration project at Hopital Adventiste d’Haiti. The video below was filmed at an independently organized TEDx event and features Edward O’Bryan, an emergency room physician from South Carolina and cofounder of the Palmetto Medical Initiative. His monologue serves as a poignant reminder that trauma, particularly the musculoskeletal variety, remains a neglected epidemic in developing countries, causing more than five million deaths each year, roughly equal to the number of deaths from HIV/AIDS, malaria and tuberculosis combined. 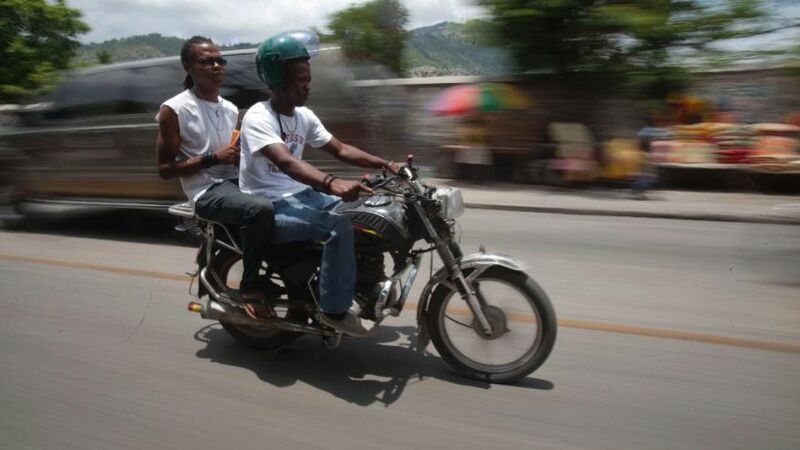 Nowhere is the aforementioned statistic more relevant than Haiti where motorbikes provide one of the most efficient ways to navigate it’s unpredictable and rutted streets. But with regulation largely nonexistent, the combination of inexperienced drivers, general lawlessness and packed roadways has resulted in a big jump in accidents according to an article written by David McFadden and published by the Associated Press. Dr. Bermann Augustin, an orthopedic surgery resident at the Hospital of the State University of Haiti, found in a recent study that motorbikes were involved in nearly 80 percent of all road accidents that sent patients to Port-au-Prince’s main general hospital between April 2014 and February 2015. Emergency room administrators say they rarely saw victims of such accidents before the quake. 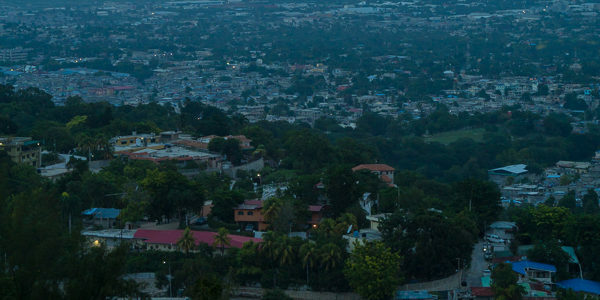 “This has become a big public health problem in Haiti and it’s getting worse,” Dr. Augustin said. At Hopital Adventiste d’Haiti Dr. Alexis is prepared for the onslaught of femur and tibia fractures with a full armamentarium of SIGN nails and the skill to insert them. 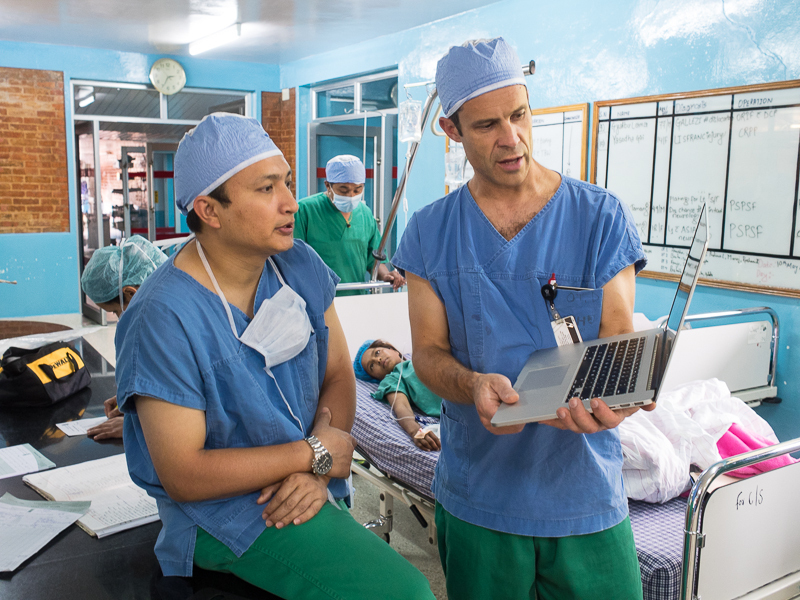 The tenth installment of the May, 2015 Loma Linda University Health Orthopedic Team visit to Nepal. All of our team members made it safely back to California several days ago, in fact Elaine Lewis is already back to work in Haiti. All in all, it was an amazing trip one that we will long remember. 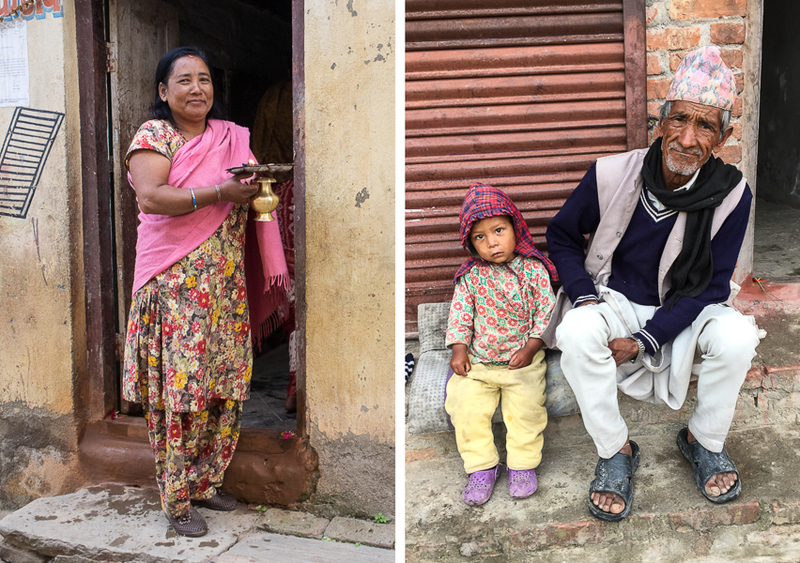 Since our return, team members have been privileged to give several interviews and presentations which will hopefully translate into more donor dollars funneled into the Nepal relief effort. Our goals for this venture were to provide orthopedic surgical services for the quake victims, administrative disaster support to Scheer Memorial Hospital and hopefully play a role in fundraising for the hospital. Looking back, we largely accomplished all of our goals but like most volunteer excursions, we all feel that we probably got more out of the experience than we ever gave. However, we would like to recognize several key individuals without whom our trip would not have been nearly as successful. 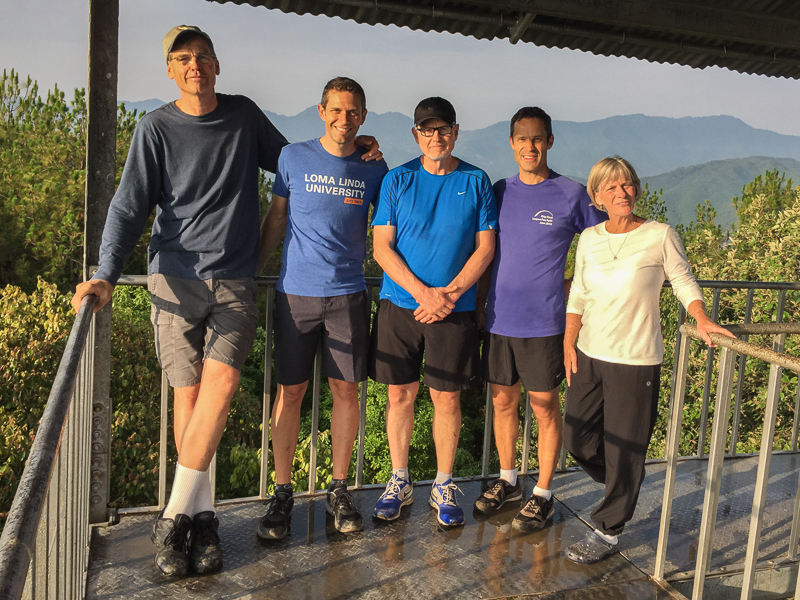 First and foremost, we would like to recognize Jerry Daly (third from the left) who is the Associate Director for the Global Health Institute and Assistant Vice-President for Global Outreach at Loma Linda University. We have worked with Jerry on numerous occasions in the past and he and his team always perform miracles for us when it comes to gathering the equipment we need and facilitating our travel arrangements. We would like to thank the canteen staff at Scheer Memorial Hospital (SMH) who provided delicious home-cooked meals for us at nominal cost. Favorite breakfast items included omelettes and freshly baked doughnuts. A classic Nepali staple is rice (bhatl) and lentil soup (dal) with curried veggies and tomato achar. 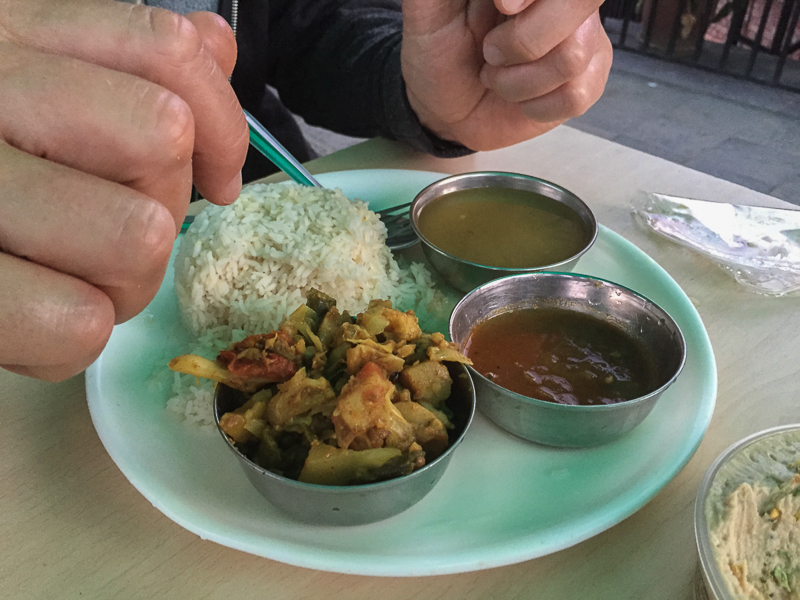 If you want to eat it like a traditional Nepali, mix all of the aforementioned items together and proceed to eat the meal, all with your right hand! This particular meal is considered acceptable to eat for breakfast, lunch or dinner. We were truly grateful for the canteen chef’s contribution toward refueling our team each day. From a gastronomic standpoint, anesthesiologist Steve Mulder is the absolute ideal companion to have on a trip like this. Before departing the US, Steve cleaned out his local Trader Joe’s and brought a literal suitcase full of nuts, granola, almond milk, vege chilli etc. 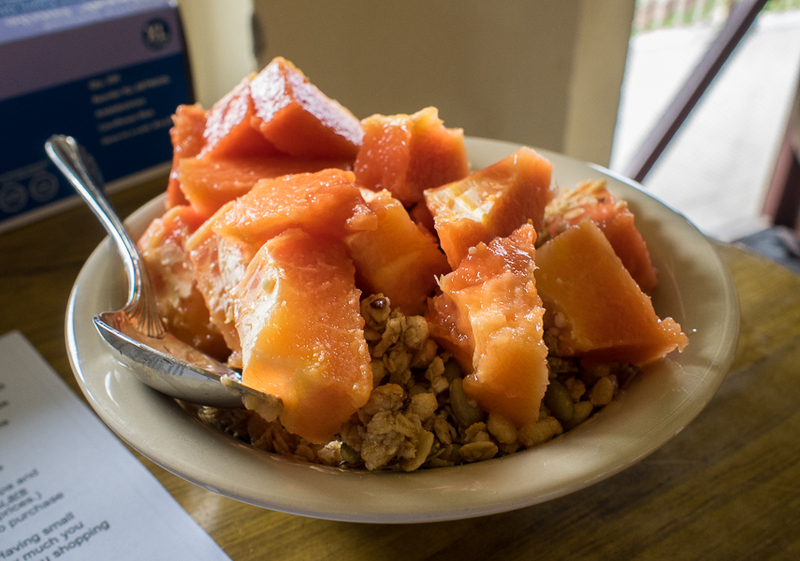 Here is one of Steve’s classic breakfast offerings, fresh papaya and almond milk over TJ’s granola. Dale Mole, third from the left, is the relatively new CEO of Scheer Memorial Hospital (SMH). 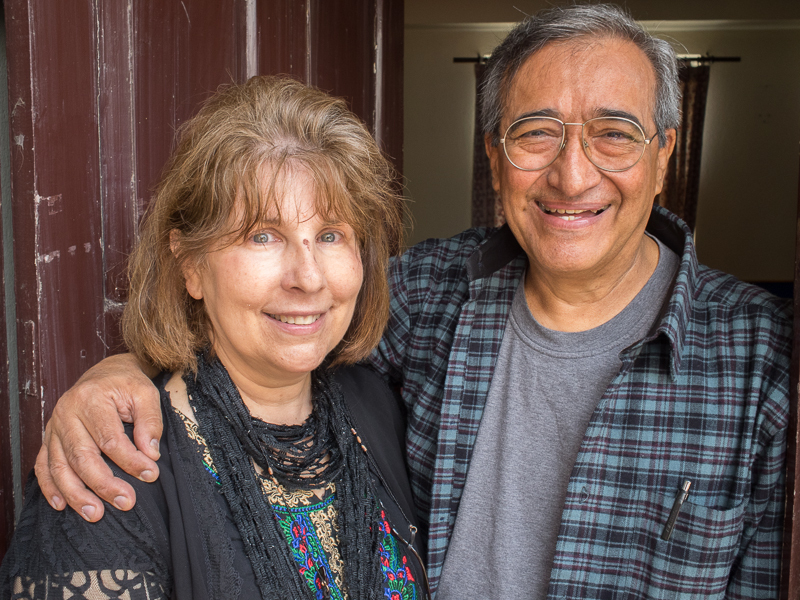 Recently retired from the Navy as an emergency medicine physician, Dale and his wife elected to forego a life of leisure and move to Nepal. We were impressed with Dale’s management skills and are very optimistic about SMH’s future under his leadership. Anyone who has spent weeks on end in a submarine and an entire year at the South Pole is ready for the challenge that lies before him in Banepa. 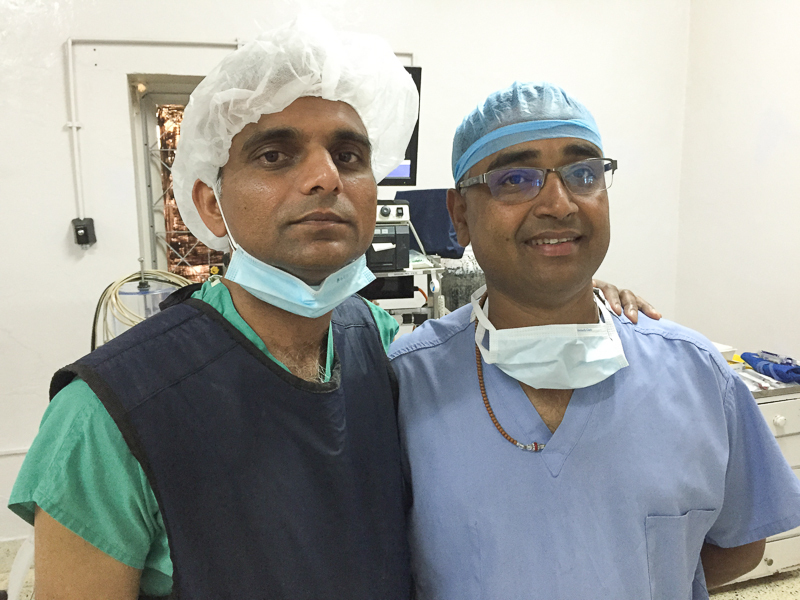 Laxman Thapa on the left and Sita Ram on the right, were both young men working in the operating room when I first visited Scheer Memorial Hospital in 1995. 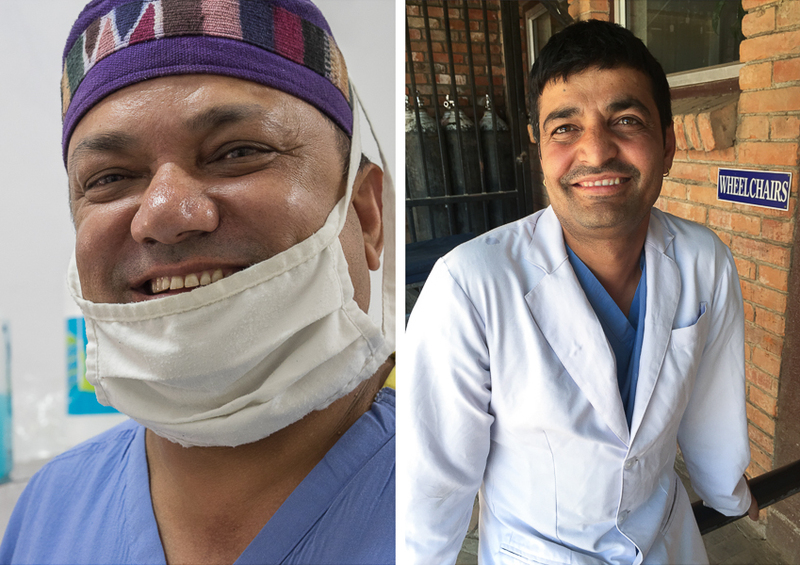 Laxman is now working as an anesthesia tech in the operating room and Sita Ram works as a technician in the emergency room. 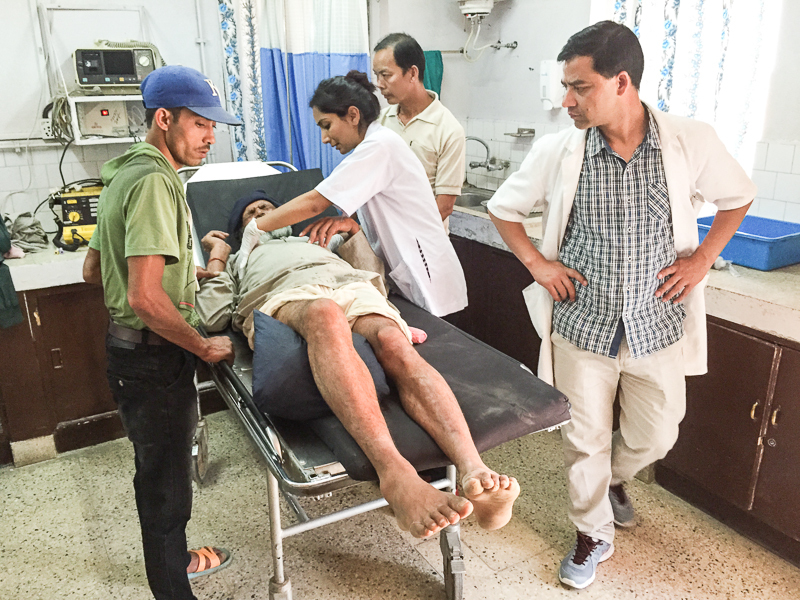 Deepak Shrestha is the Chief of Orthopedics at Dhulikhel Hospital just a few kilometers from our home base in Banepa. Cognizant of the huge backlog of cases awaiting his staff, Deepak fully embraced our team and gave us our own room to start slogging through the caseload. 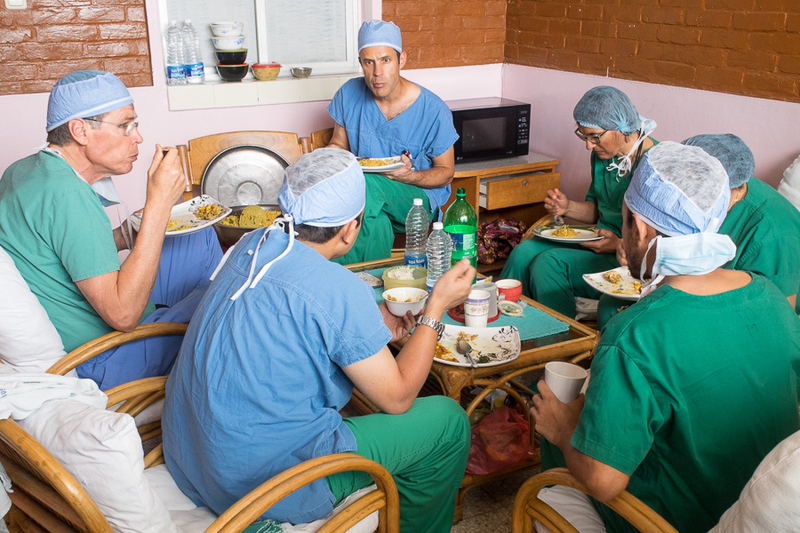 The banner image above was taken at Dhulikhel Hospital where we were grateful for their hospitality between cases. Scott Nelson on the left getting ready to leave for Dhulikhel Hospital bearing the gift of a new DeWalt surgical drill/driver purchased from our local Home Depot along with a specially designed sterile cover. The combo works almost as well as a similar item we would purchase for several thousand dollars back home. Scott posing on the right with All-Star scrub tech Roshni who exhibited technical expertise far beyond her 24 years of age and amazing poise in the operating room even during a 7.3 trembler! 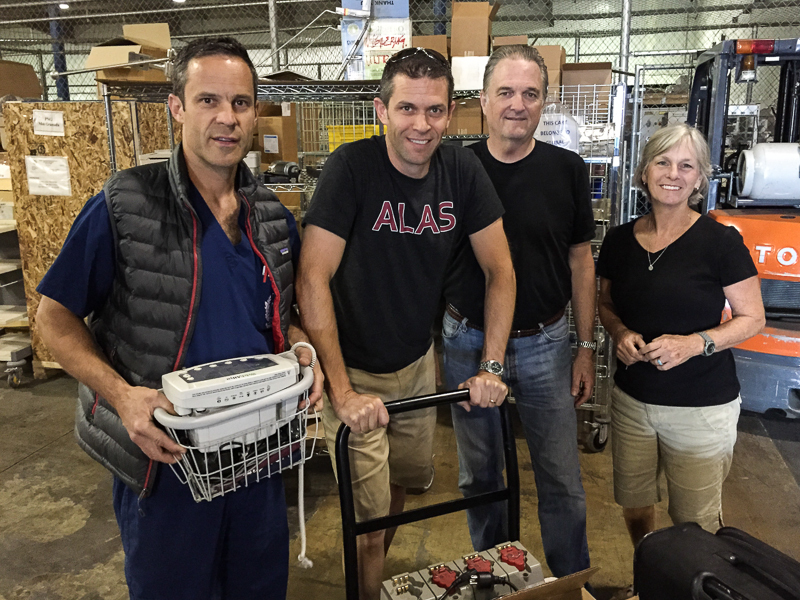 One of the tangible contributions to Scheer Memorial Hospital (SMH) that we were able to make were the trays of surgical gear donated through the efforts of Jerry Daly and the Global Health Institute. Orthopedic surgery is such an equipment-intensive specialty so we were grateful to provide these new tools for the SMH ortho team to utilize. Finally, we’d like to give Etihad Airways, the flag carrier airline of the United Arab Emirates, a shout-out for getting us safely to and back from Kathmandu. We landed and took of from a compromised Kathmandu airport without incident and were treated royally in flight. We were fortunate enough to score seats behind the bulkhead between business and economy class which afforded us extra leg room along with power ports for our phones and computers. 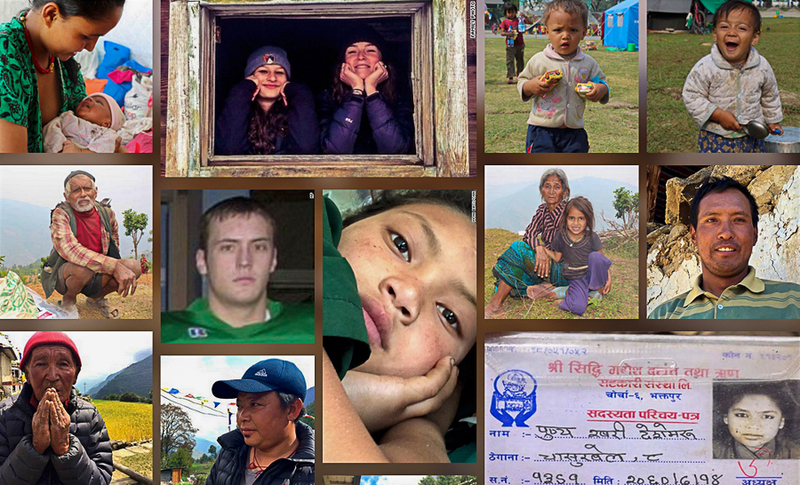 Click here to get a brief view of the staggering human toll in Nepal, and just like many of the souls in Haiti after their earthquake tragedy, you will get a glimpse of the resiliency of those who survived. 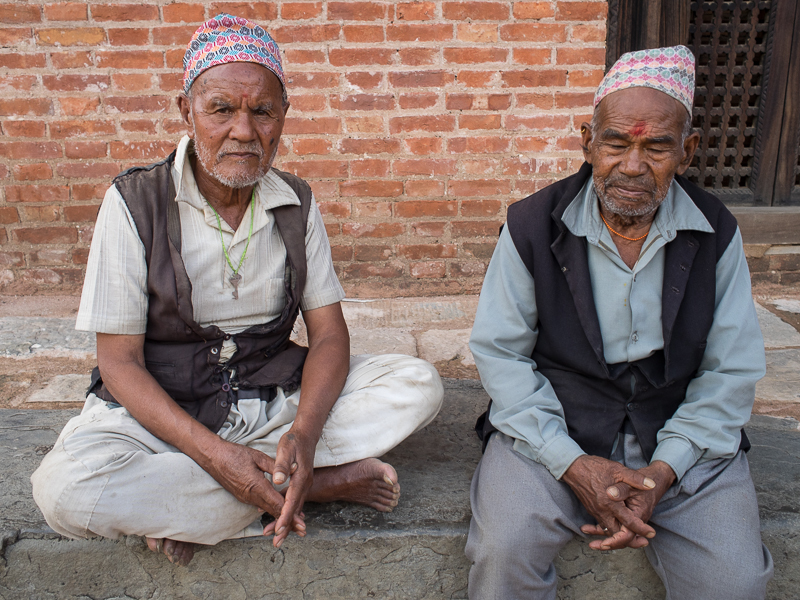 Scheer Memorial Hospital continues to treat victims of both the April 25 and May 12 earthquakes that crippled the country, please consider donating to the Nepal Relief Fund. 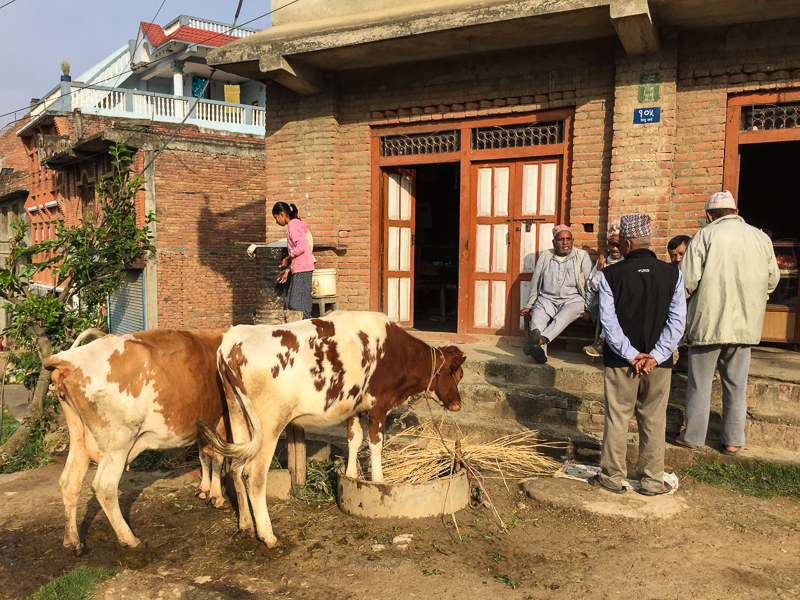 The ninth installment of the May, 2015 Loma Linda University Health Orthopedic Team visit to Nepal was written by surgical technician Elaine Lewis. 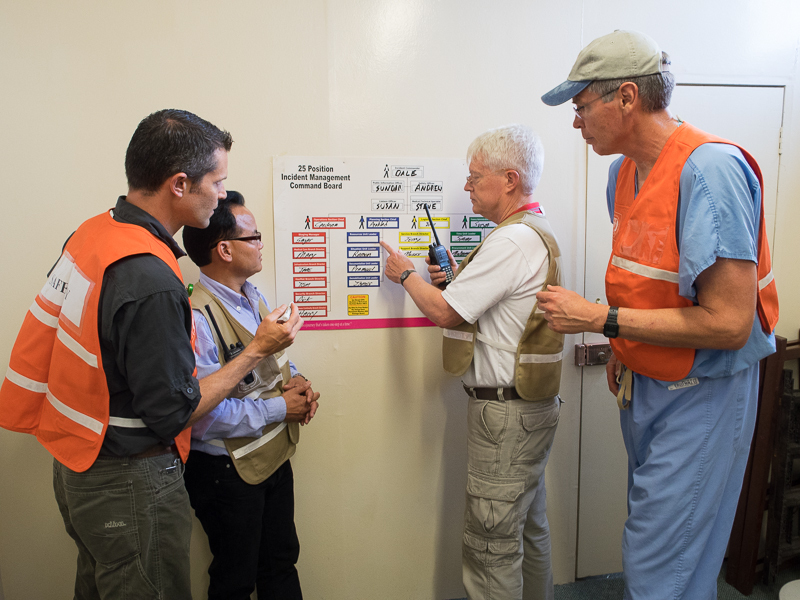 In addition to her duties in the operating room, Elaine has many years experience as a midwife back home in California and was able to participate in the birth of two lives shortly after the second biggest quake in Nepal when so many more lives were lost. This was a phenomenon also noted in Haiti where many deliveries were precipitated associated with the stress of aftershocks. 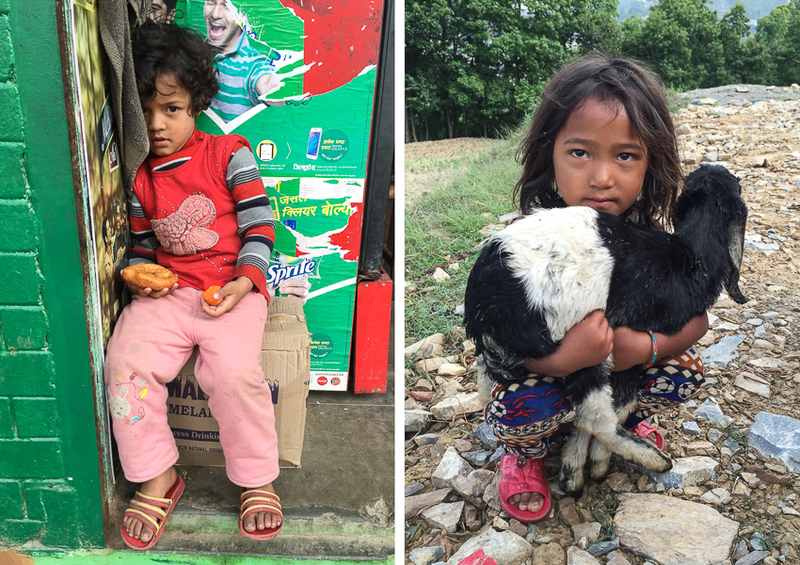 Life in Nepal is certainly difficult, but the poverty doesn’t seem to compare with what I’ve seen in Haiti. 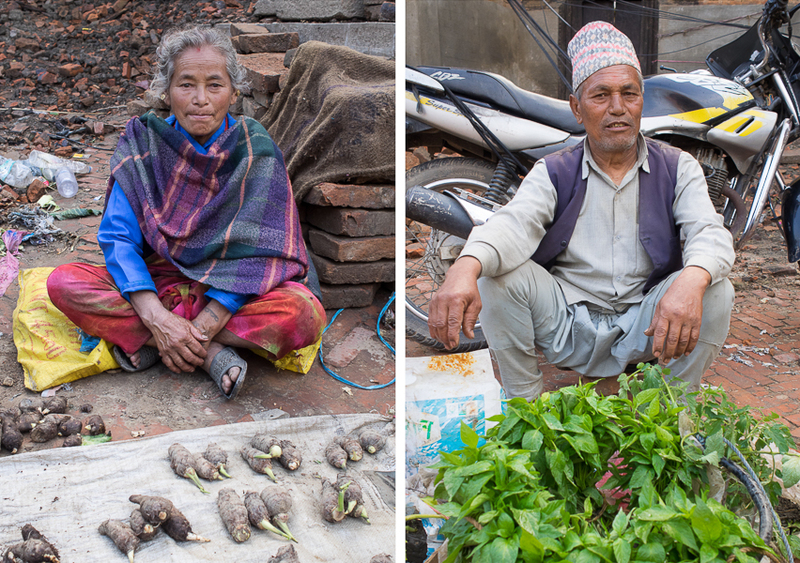 Many of the people I saw in Nepal lived in rural settings with gardens and often animals. I felt like I was looking at the world through a pair of prescription lenses that were in a time warp. One side of the glasses viewed century-old practices and the other side viewed modern times. 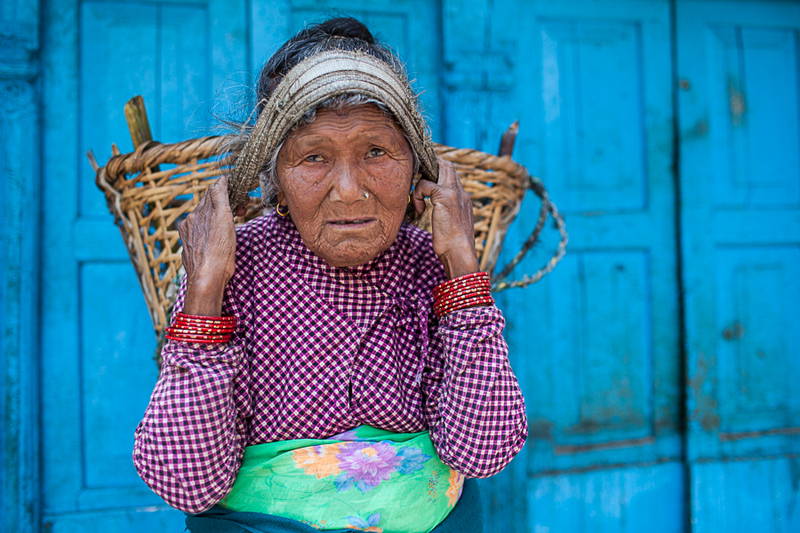 Women in colorful Nepalese clothing walked to the fields with huge baskets strapped to their foreheads while others rode motorcycles in western clothes. 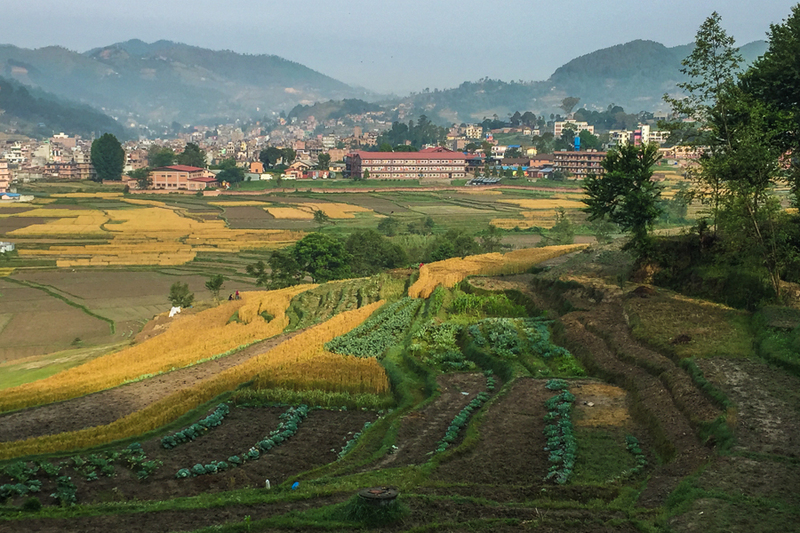 As the five of us from LLU walked, hiked, and ran through the hills surrounding Scheer Memorial Hospital (SNH) in Banepa, Nepal, we witnessed the devastation of a 7.9 earthquake that struck on April 25 and wondered how anyone survived and the death toll wasn’t much higher. A 7.3 quake followed while we were there and we saw a new wave of patients coming in for treatment with fractures and lacerations. 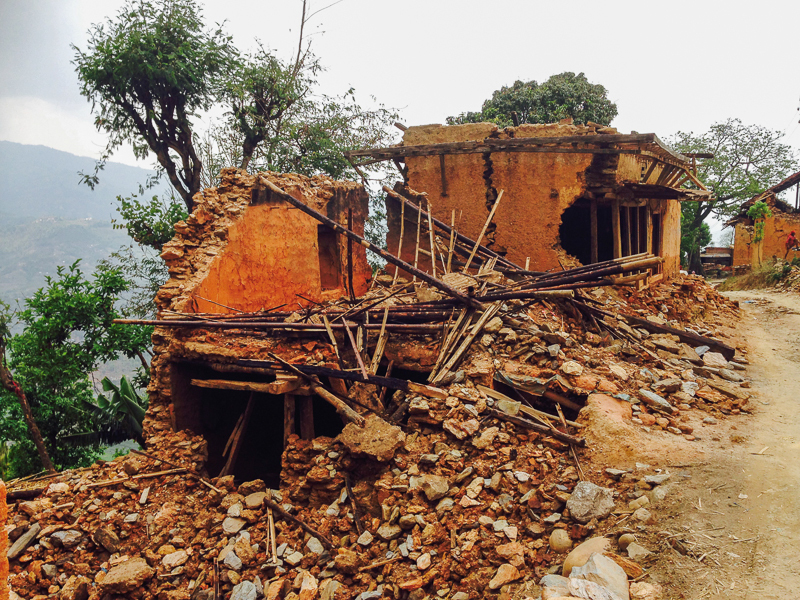 Buildings that were severely compromised in the first quake came down in the second one. We saw dust clouds in the hills surrounding the hospital as buildings fell. But there were many bright spots surrounding the devastation. 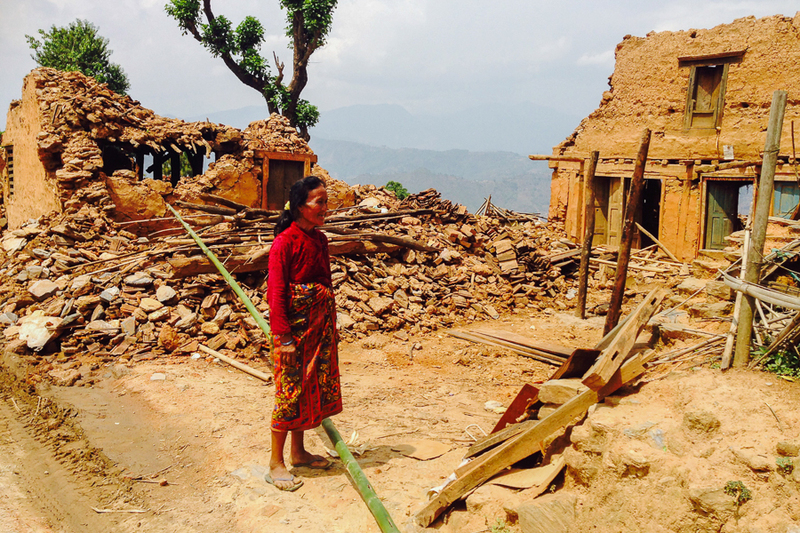 New life began for two pregnant mothers at Scheer shortly after the second quake. I was able to assist in the birth of two babies born just four minutes apart in the same room while I was there, and I watched with pride as none of the midwives or nurses bolted for safety during a 6.4 aftershock. All the new mothers slept outside in a tent with their babies in the chilly night air in case any more earthquake activity threatened. Finally, a trip to a mountain village where every single home was leveled and two children died, was one I’ll never forget. A clinic was set up in a concrete building of newer construction with minimal damage. While Dr. Lou from Tennessee examined patients with varied ailments, the children played yard games with the young team of grief counselors from Kentucky that Dr. Lou brought with her. 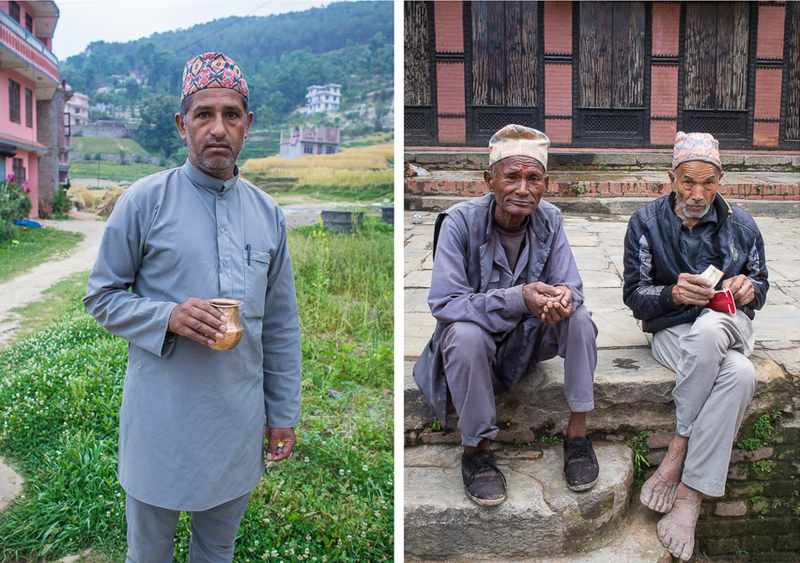 Someone told us that it was the first time the community had felt light-hearted since the quake. 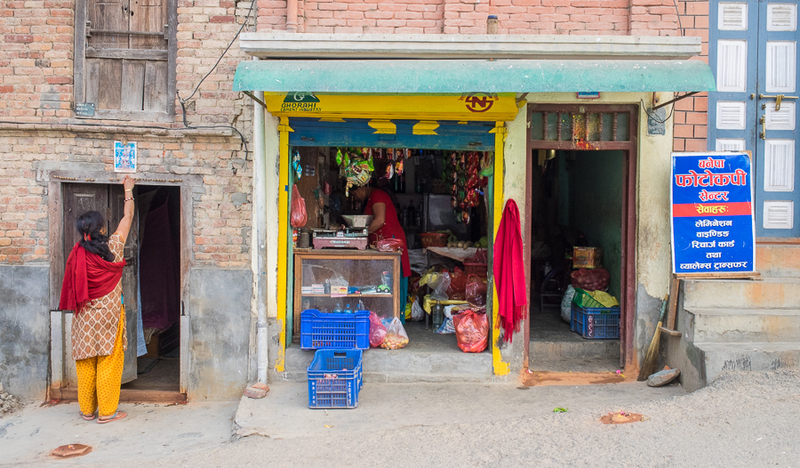 I have no idea how a people rebuild from nothing and with nothing, but it was clear that the Nepalese will do exactly that. 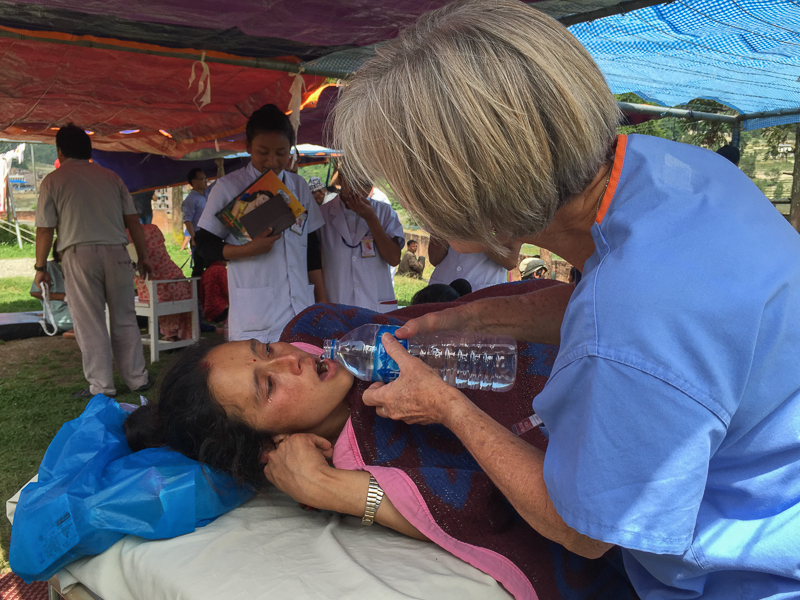 Part 8 of the May, 2015 Loma Linda University Health Orthopedic Team visit to Nepal. 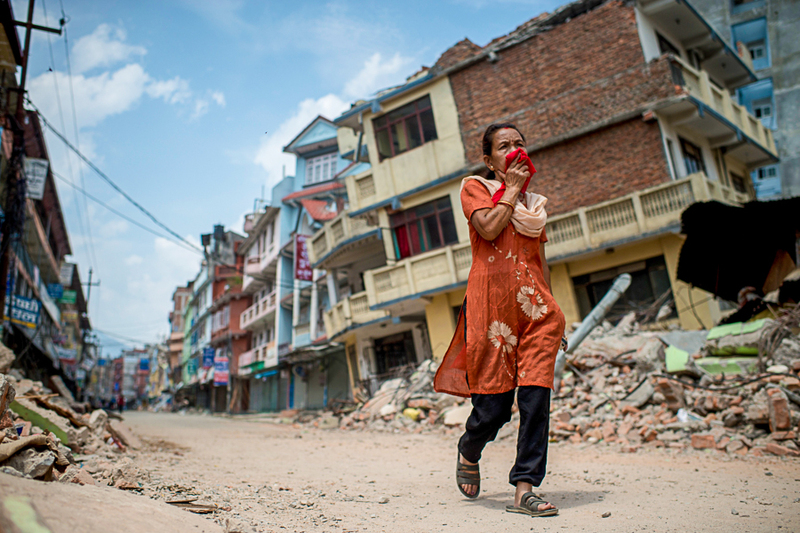 In addition to the April 25 7.8 magnitude quake, the devastated Nepali people were dealt another blow in the form of a 7.3 magnitude trembler on May 12. 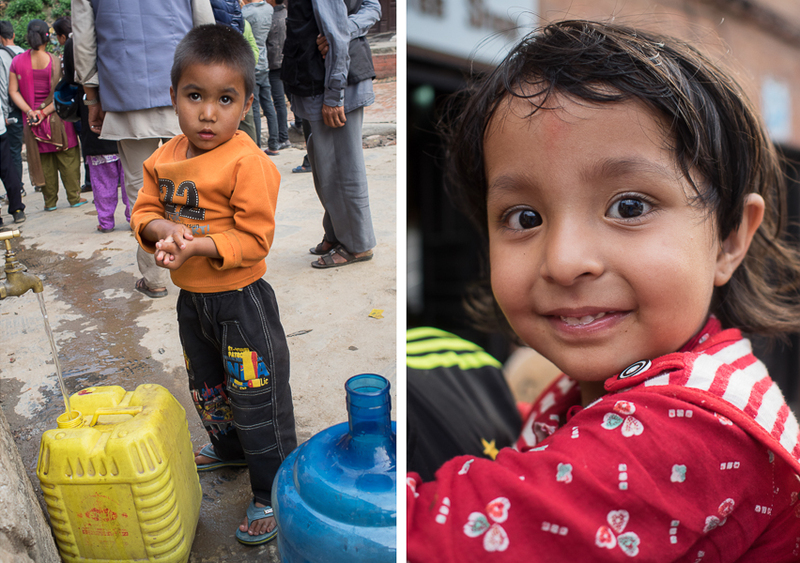 Please consider donating to Adventist Health International’s Nepal Earthquake Fund as there is still much work to be accomplished. Scheer Memorial Hospital is depicted in the banner image above on the edge of fields of crops. 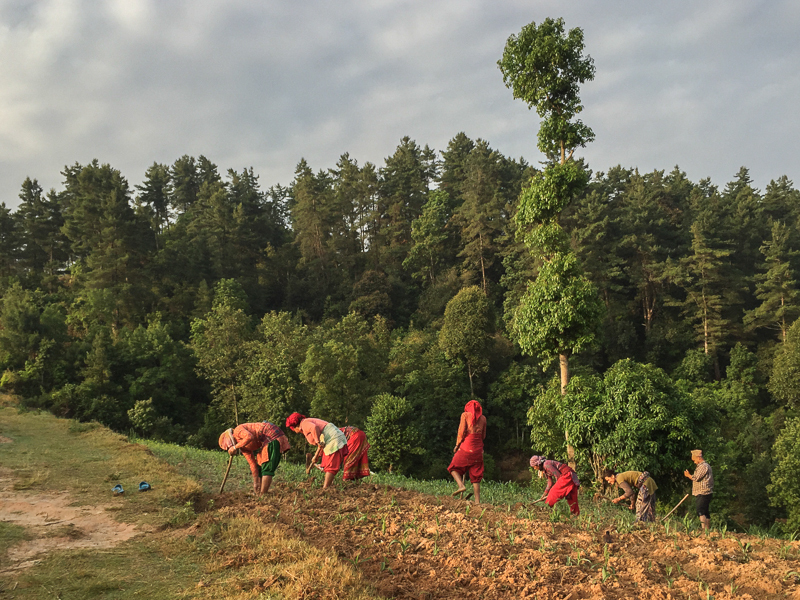 Most mornings we were able to get up around 5:30 and go for either a run or walk through the hills behind the hospital and interact with some of the villagers. 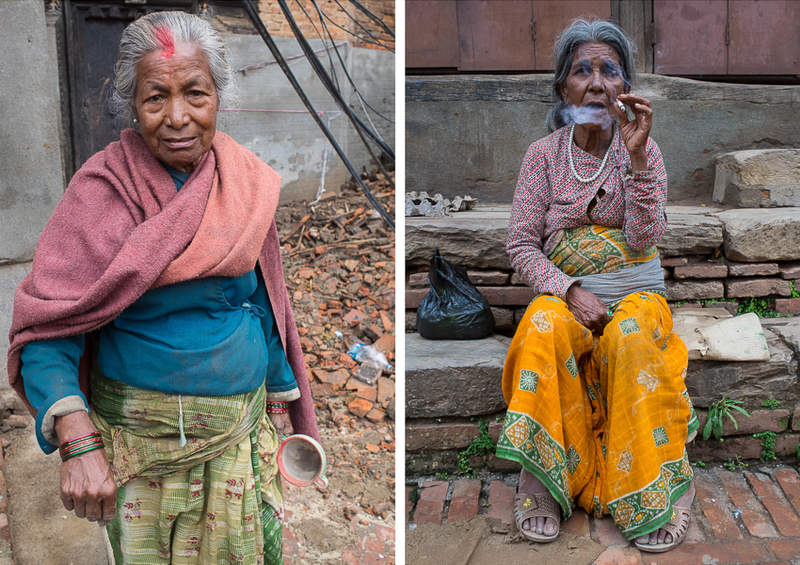 It was then that we became even more impressed with the resiliency, fortitude and warmth of the Nepalese spirit that I hope is reflected in the following photo essay.